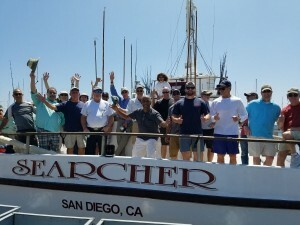 1.5 through 7 day San Diego sportfishing trips and charters. Fish offshore San Diego and northern Baja California (within 200 miles) during prime tuna months of June, July, August, and September. 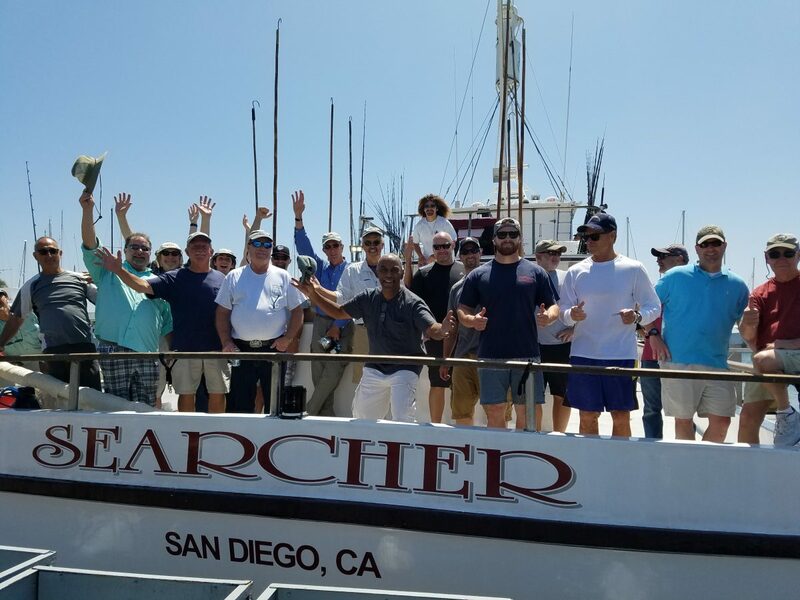 We’ll be trolling and drifting with live bait as we target albacore, yellowfin tuna, bluefin tuna, yellowtail and dorado. Armed with data about water temperatures, currents, prior catch reports, and ocean topography, we’ll travel to spots with the most fish action which may vary each trip. Book Your Trip Online Now! 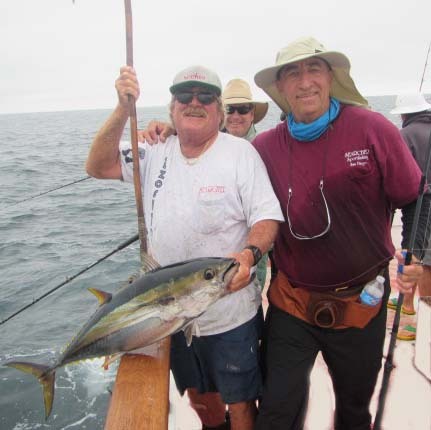 These trips provide the angler with more fishing time for albacore, yellowfin tuna, bluefin tuna, yellowtail, dorado, calico bass, and white sea bass. The target areas include offshore San Diego and northern Baja California; the famous Cedros, and San Benito Islands; and San Pablo, Asuncion and Hippolito Bays. 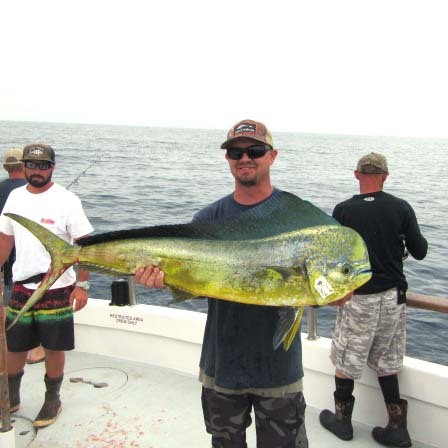 For these trips, we’ll be fishing both while drifting and at anchor, primarily using live bait. 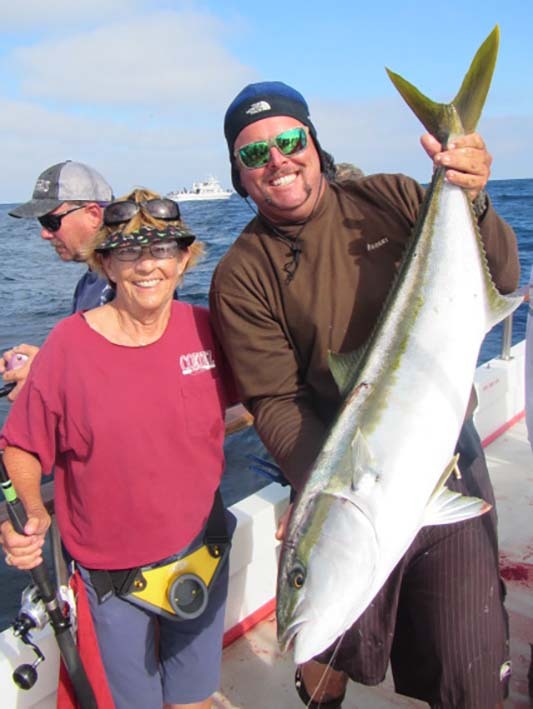 Travel over 450 miles to Alijos Rocks to fish for the area’s reknown larger yellowtail, yellowfin tuna, and a chance for dorado and wahoo on fall trips. We’ll fish on the way south and at the coast for albacore, bluefin, yellowtail, and yellowfin tuna during travel time. Call or email us for information about booking the entire boat.